A colorful mix designed in a stylish glass vase! 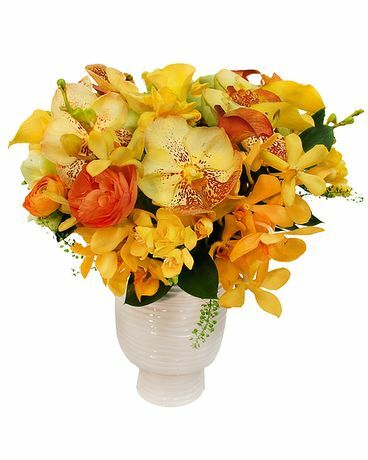 This premium mix includes vanda orchids, gerbera daisies, hydrangea, roses, freesia, garden accents and premium greens. Brighten someone's day at home or the office!